We are your go-to resource for oven repair in Portland OR. We have operated as the leading Portland oven repair company for many years. Our team is full of only the most experienced and highly crafted repair technicians that the Portland OR area has to offer. Simply put, we have the knowledge and resources to see to it that any oven repair job gets done. That’s just what we do. So how does it work? Well, leave all the work up to us! You give us a call to arrange an appointment to diagnose the problem with your oven within your Portland OR home. Our technician will find a solution to the issues that your oven is having and you will receive a written estimate for the oven repair. The estimate will include the cost of labor and oven parts needed to complete the repair. We are always happy to take on a new client in the Portland OR area, which is why we gratefully give a $10 off coupon for your first repair and wipe out your service call fee. If hired, our technician will obtain the oven parts needed to get the job done. 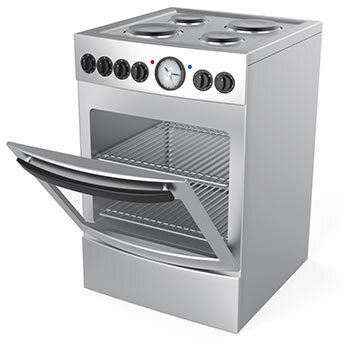 We have quick access to all the right sources for affordable oven parts in Portland OR for any brand of oven. We make the effort to get your parts as quickly as we can so your problem is no more. We will see to it that any oven repair in Portland OR receives quick and efficient handling by one of our highly professional repairmen. When we’re done, your oven will be as good as new! Is your oven not heating up properly? If so, you might want to test the bake element to see if it works. It’s possible that your broil element is to blame. If this element is not working, only one of the two heating elements will be effective. This could cause inefficient heating and may lead to undercooked food. The proper way to test the element is with a meter, which will check for continuity. If the element is defective, it needs to be replaced. The part itself is cheap, but you should hire a professional to install it.